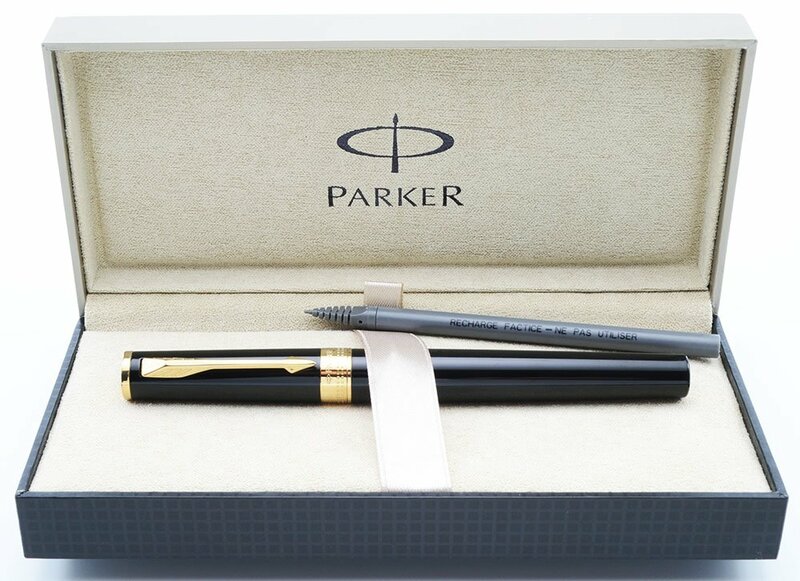 Parker Ingenuity 5th Technology Pen from 2011. The refills use a tip that adjusts for the writer and dries quickly to prevent smudging. This is the large black lacquer version with gold finish trim. Near mint condition in box. Type 5th Technology Pen. It's essentially a more ergonomic felt tip pen. 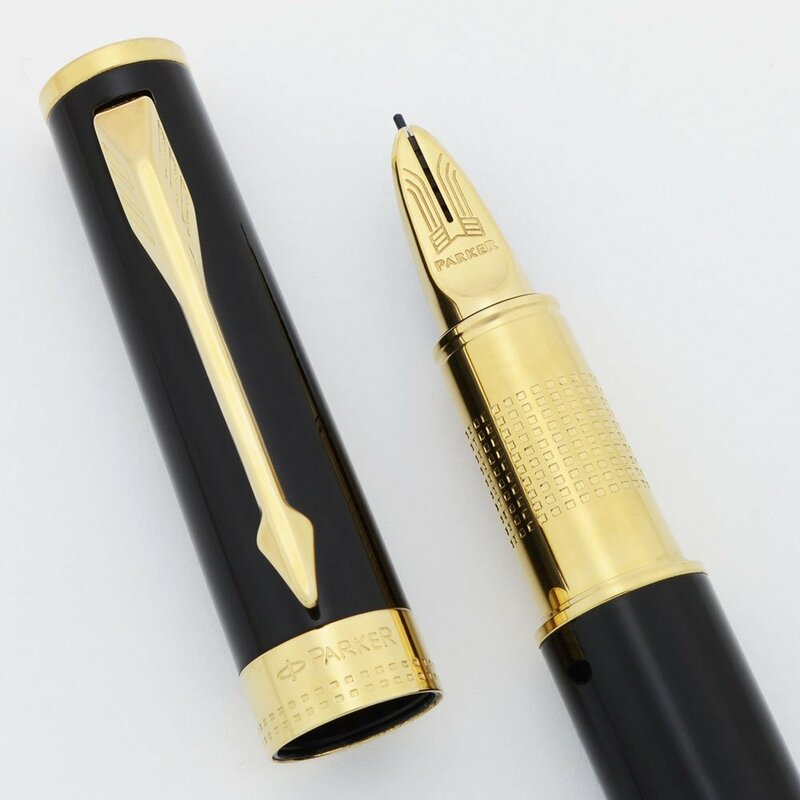 Product Name Parker Ingenuity 5th, the 5th refers to a "fifth type of writing system". Manufacturer and Year Parker, the pen doesn't say where it was made on it. Made in 2012 - the date code above the section threads is a clear AIII. Length 5-1/2" and a bit wide. This is the large, not the slim size. Filling System Takes Parker 5th refills. They're the length of international rollerball refills with a felt tip, but they have a different section to better secure the refill. A working blue refill is installed and it will ship with a dummy refill as well. 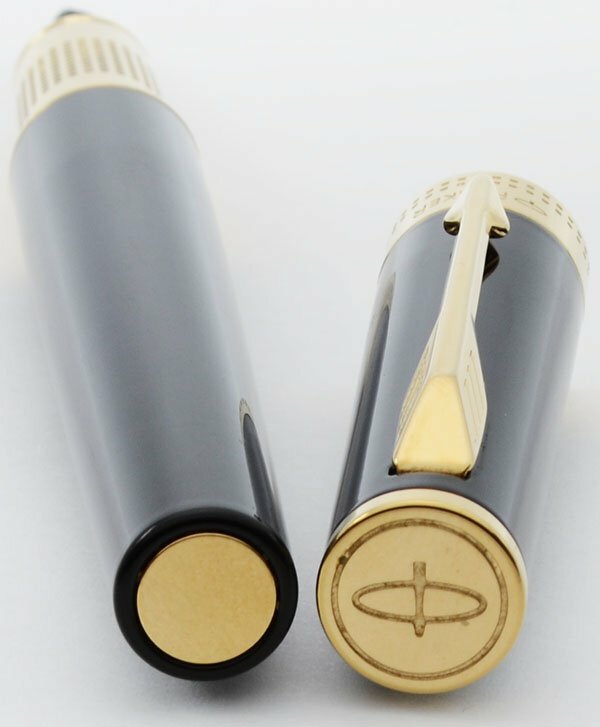 Color Black lacquer with gold colored trim. Condition Near mint condition. The date code is very clear as is the cap imprint and emblem. The pen surface has very light microscratches from usage, but is still fairly smooth and glossy. Light wear on the clip. No cracks, chips, dings, dents, or other scratches. In Parker box with paperwork.